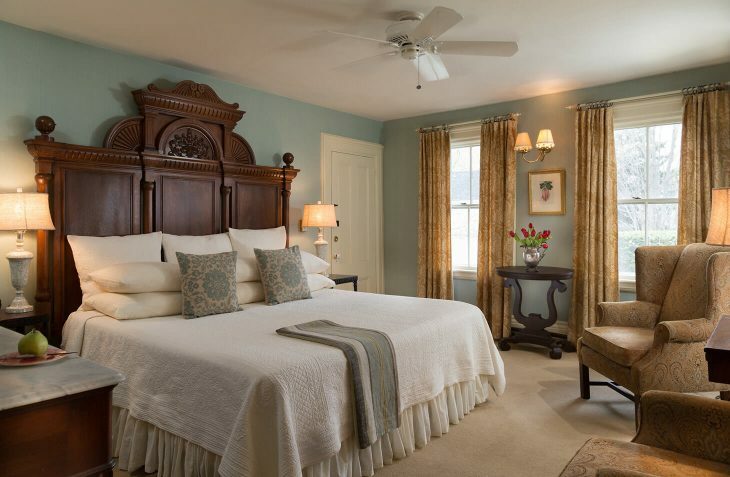 Book a stay at our midcoast Maine bed and breakfast and join us in one of the best places to stay in Maine. 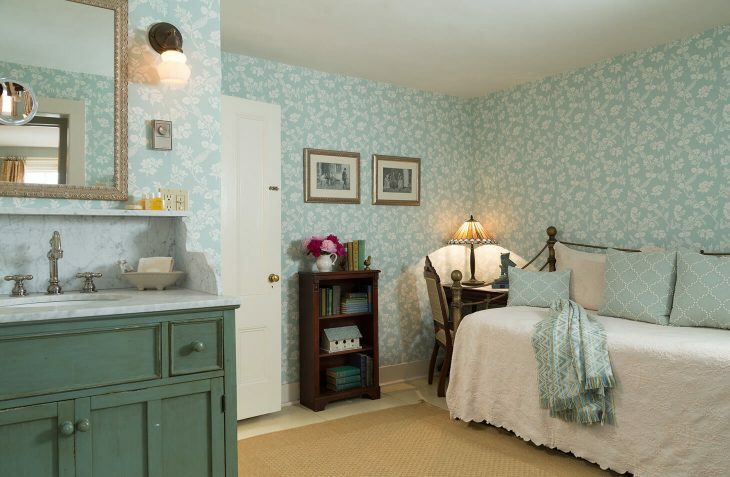 This demi-suite is decorated in the warm blues and greens of the inn’s coastal Maine landscape. 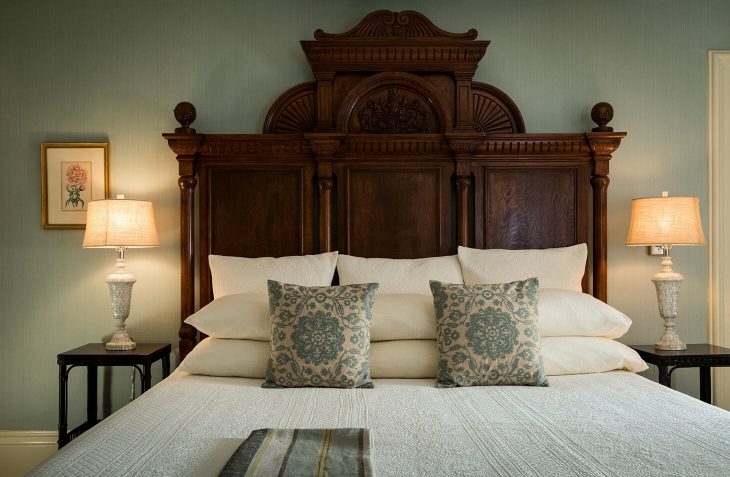 The suite is spacious with a king bed, crowned with a remarkable Oddfellows headboard, organic all natural mattress, Eastlake marble top dresser, and comfortable wing chairs. The adjoining sitting room has a daybed with a trundle, a writing desk, and beautiful hand printed English wallpaper. The newly renovated marble and tile bathroom has walk-in shower and European style marble top vanity to make you feel pampered and well taken care of. Room includes flat screen TV, cable and DVD player. Accommodates a 3rd or 4th guest for $25 per person per night.